World Refugee Day is celebrated every year on June 20th. This event honors the courage, strength and determination of women, men and children who are forced to flee their homeland under threat of persecution, conflict and violence. 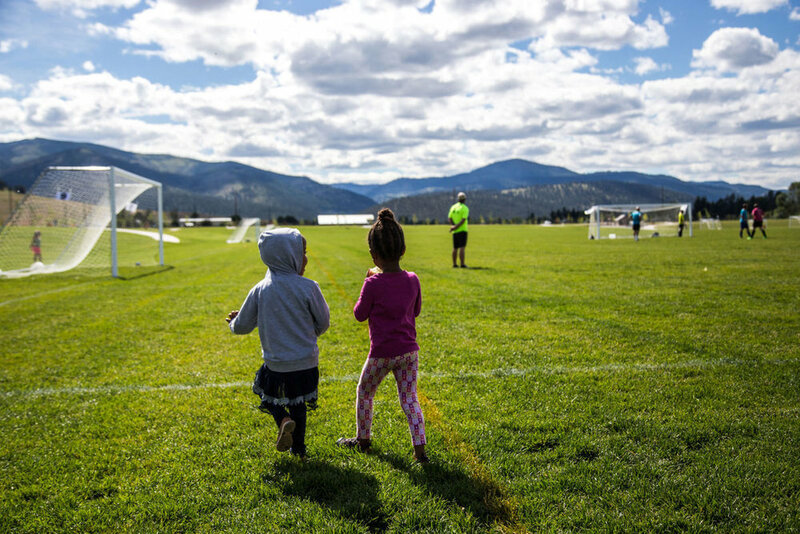 The Missoula community has stepped up to welcome more than 75 families and has made Missoula a welcoming place where refugees can integrate and thrive. 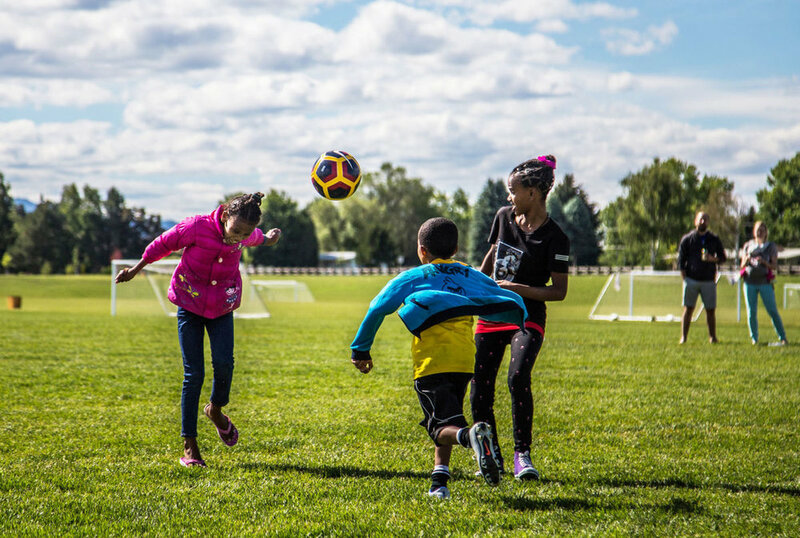 Soft Landing Missoula is excited to celebrate the addition of these families to our community with a soccer tournament and community party. 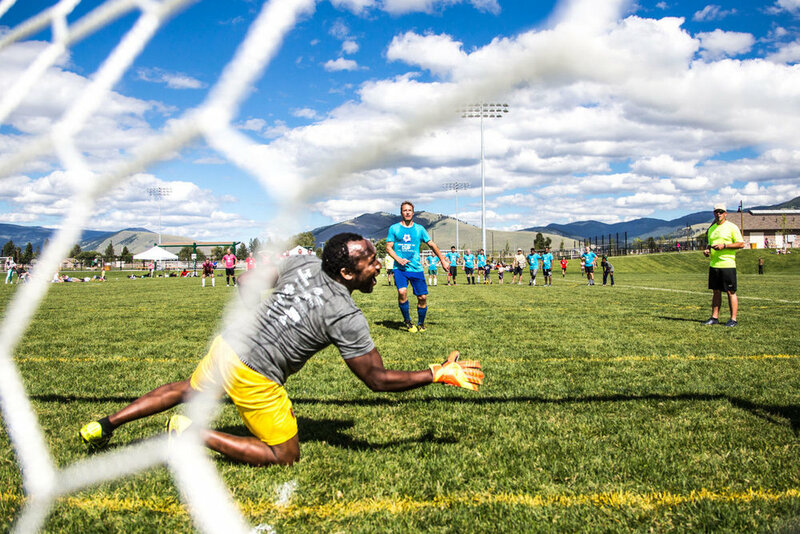 Through the Third Annual World Refugee Day Cup, of course! 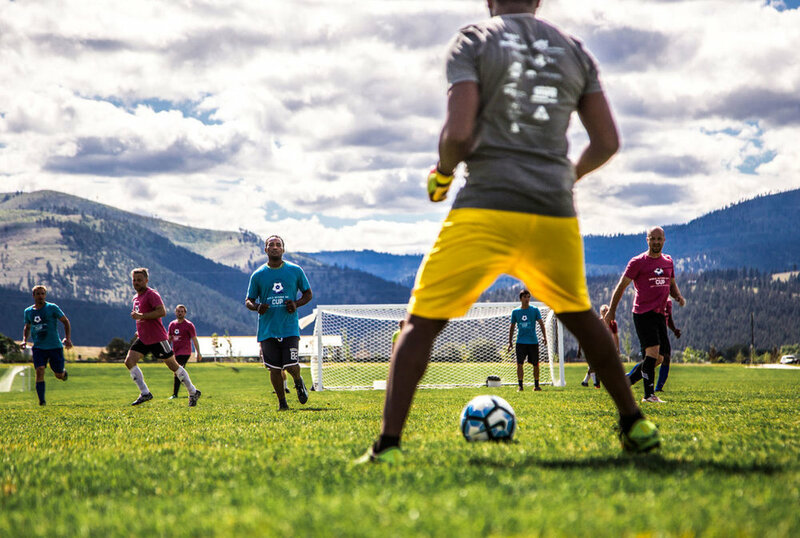 This year's Soccer Tournament will be held on June 16, 2019 at the Parks and Recreation soccer fields at Fort Missoula. A round-robin set up of 7 v. 7 teams will guarantee that each team plays at least 3 games. 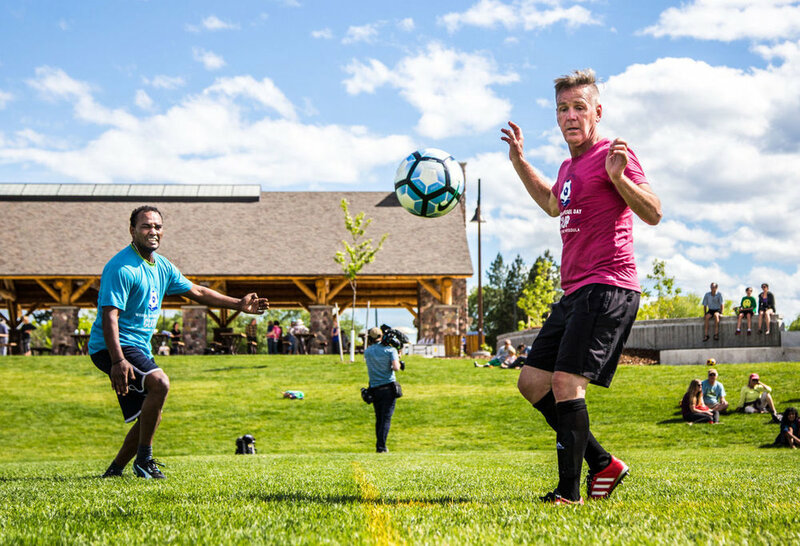 The World Cup Match of the final two teams will be held in the late afternoon, followed immediately by the community celebration. There will be food, drinks, activities and music into the evening. Registration is available through Parks and Rec and will open May 6th. Must be 16 or older to play. If you're interested in becoming a sponsor, check out the Sponsorship information below! 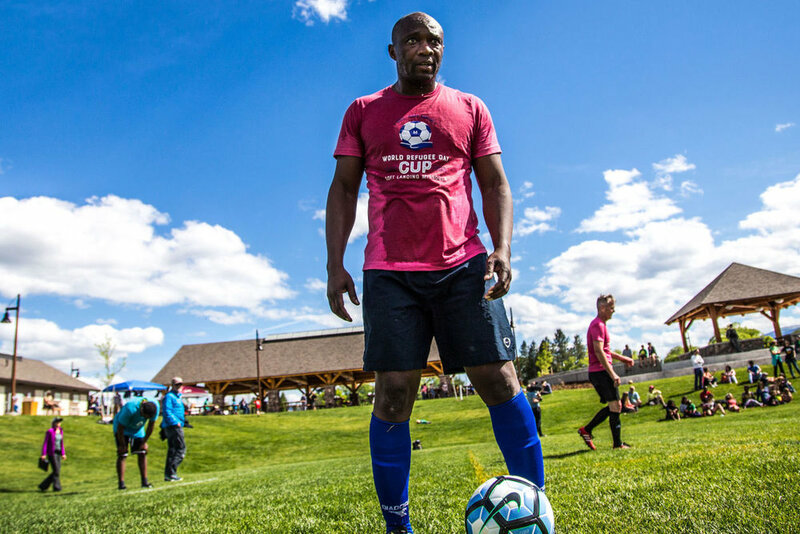 Huge thanks to Missoula Federal Credit Union, the Good Food Store, Smith and Stephens, PC, Community Medical Center, Submittable and ATG for already stepping up to be a sponsor this year. Thank you to Rebekah Welch with the Missoulian for capturing these amazing moments! You won't want to miss out this year, so mark your calendar for June 16! Donate today to support this annual fundraiser!